The European Union’s General Data Protection Regulation (GDPR) has gone into effect – but questions as to what compliance actually means are far from settled. While the GDPR is a European regulation, it affects any organization that handles data on E.U. citizens, whether they be customers or partners. That means any entity in the U.S. is subject to enforcement actions, such as fines, if they do business with any E.U. citizen. In other words, it’s an E.U. law, but has global applicability. For U.S. consumers, while they aren’t protected by the regulation when it comes to non-E.U. 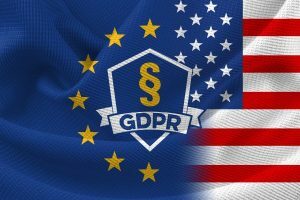 companies, the law could either spur similar regulation on this side of the pond, or, more likely, create an environment where industry voluntarily implements GDPR-like protections in response to consumer demand. The GDPR is widely considered the most comprehensive regulation on the protection of personal data in the world, with a sweeping set of requirements that promise to transform global debates on any number of grand levels: It’s about privacy, cybersecurity, the role of technology and technology companies, the value of innovation and, of course, the future of the transatlantic economy. It’s also a widely known fact that many companies aren’t prepared for the regulation. The GDPR contains a series of articles that lay out a complex set of requirements for those handling E.U. citizen data. Yet, in terms of what compliance actually looks like in real terms, there are several areas of uncertainty that will only play out and become clarified over time. The GDPR applies to any organization that collects data about E.U. residents, whether or not that organization has a physical presence in the E.U. – including American companies. While Europe has had data privacy frameworks in place since the mid-1990s, the GDPR changes things first and foremost by applying to data collected about E.U. residents by organizations located anywhere in the world for the first time – leaving many companies outside the E.U. scrambling to overhaul their processes. Facebook, for example, has taken several steps in an attempt to give people more control over their privacy and explain how it uses data. For instance, people are asked to choose whether they want Facebook to use data from partners to show them ads. They can also choose if they want Facebook to use political, religious and relationship information on profiles to target ads and content, among other things. In many cases, U.S. consumers win here too. Some companies (not just Facebook) are overhauling their processes across the board, so even though the changes are targeted to E.U. residents, U.S. users will benefit from a halo effect. Further, enforcement actions promise to be a financial deterrent. Violations can incur fines of up to 4 percent of global turnover or 20 million Euros, whichever is greater. As a result, many firms around the world are thinking strategically about their relationship with the personal data they collect on their users, including information gleaned from websites, account registrations, social media, advertising and marketing efforts, newsletters and list rentals, data brokerages, public sources of information and more. For U.S. companies, this presents not only an operational challenge, but an institutional one. The E.U. definition of “personal data” is far broader than what is typically understood in the United States. Under the GDPR, consent must be obtained before any data is collected, let alone kept or used for follow-on purposes, such as targeted advertising. This profoundly changes the way an American company, such as Google’s subsidiary DoubleClick, profiles and targets ads to internet users in the E.U. 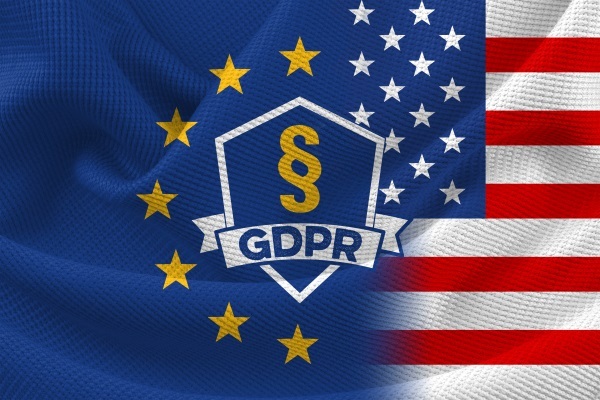 Beyond the main outlines, the legislation contains a number of specific data-handling requirements that will be new for the thousands of U.S.-based companies that will need to comply with the GDPR thanks to having E.U. customers or partners. Companies are also tasked with implementing privacy by design, which means that they are required to only collect data that fulfills the functions of their business. The GDPR thus demands companies implement measures such as data minimization, which means only asking for what one needs, and for a specific use and timeline. Keeping personal information indefinitely, or maintaining databases of information that doesn’t have an immediate use, is prohibited. Pseudonymization (or data masking), is another new requirement. It is similar to the anonymized data sets used today to protect individual privacy while allowing insights on demographics across large data sets. It enhances privacy by replacing most identifying fields within a data record by one or more artificial identifiers, or pseudonyms. GDPR also adds a data-breach notification requirement that mandates notification to authorities of an incident within 72 hours of its discovery. This is a marked departure from U.S. practices, which are determined on a state-by-state basis; most statutes simply say that notification should occur “without undue delay” or “as quickly as possible.” A handful of states do specify time frames, such as Alabama (45 days). Also, the GDPR gives E.U. individuals a slew of “data subject rights” that affected American companies will have to comply with, including the right to receive records of data processing. E.U. citizens can ask to get information on what personal data is being collected and for what purpose – many regulatory experts see this as a requirement to eventually create information portals for individuals to query for this information on a self-service basis. For now, an E.U. data subject will need to file a “subject access request” (SAR) that in the form of an email, fax or letter asking for their personal data. Companies – including U.S.-based organizations subject to the GDPR – now have to respond within one month of receiving the request. Other rights that American companies will now have to guarantee E.U. citizens cover data portability, which allows users to port data from one service to another. Meanwhile, individuals also have a right “not to be subject to a decision based solely on automated processing, including profiling, which produces legal effects concerning him or her or similarly significantly affects him or her,” according to the law. “Consumers now have the right to know the logic in how companies process automated decisions, including job and credit applications, and how the algorithms for targeted ads work,” said Susan Ness, a distinguished fellow at the German Marshall Fund, which is a think-tank devoted to transatlantic policy. As for redress and compliance, E.U. individuals are also authorized to file complaints about data misuse, and the GDPR outlines the procedures for doing so. Many companies in Europe are expected to appoint data protection officers to fulfill an accountability requirement. These individuals are tasked with overseeing and ensuring compliance. In other words, the GDPR represents plenty of overhead. But with 500 million tech-savvy customers in the E.U., it’s obvious that companies with multinational aspirations will need to take it seriously. Taken together, the main tenets of the GDPR make up a hugely complex set of requirements – however, they’re not necessarily prescriptive. That means that there are a number of areas where implementation and compliance are only fuzzily defined – a state of affairs that will lead to long-term conversations and clarification over time (and which will probably delay enforcement actions). Peter Chase, a senior resident fellow at the GMF, said that it remains to be seen how the automated processing piece of this will play out. For instance, there could be a chilling effect on artificial intelligence development. He also noted that there’s a potential problem in opening the kimono to consumers when it comes to proprietary technology. It also remains to be seen how companies should implement the information access pieces of the GDPR while still remaining compliant. A good example of this is ICANN’s WHOIS service, which serves a phonebook-like purpose of making contact information available for those who have registered internet domains. ICANN contractually requires the collection of three sets of contact data by over 2,500 registrars and registries around the world. Some in the E.U. have refused to continue to collect that much information, for fear of running afoul of the “data minimization” tenet of the GDPR. ICANN has filed a suit in the E.U. to gain clarity on the issue. There’s also a grey area around accountability and proof of data-handling compliance. “The GDPR requires that you can show evidence that you’ve received a request and taken action in an appropriate timeframe,” Klassen explained. And that, he explained, carries its own set of new privacy considerations, many of which will be challenging for U.S. companies looking to comply with the regulation. Further, companies can’t erase that proof of ID. There’s also a question of what information is being handled in digital environments, and to what extent that provides an exposure point to organizations. As part of this, many companies don’t realize that there could be a large risk from the code that runs on their websites, for instance. 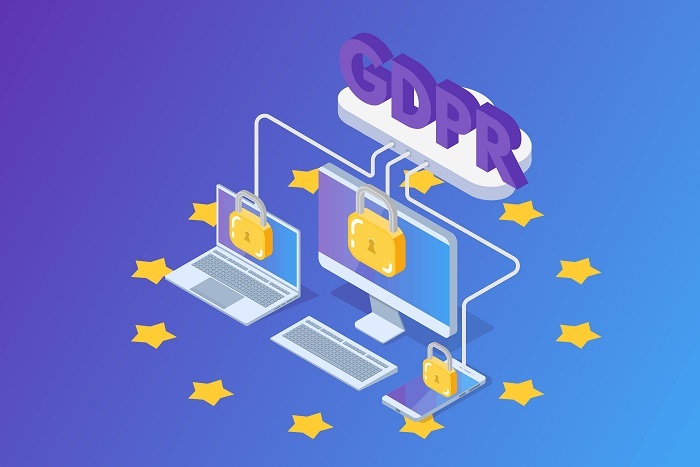 The GDPR’s broader definition of consumer data includes digital footprints such as IP addresses, cookies, unstructured data and the like, but questions remain as to how best to bring these aspects into compliance. There are even more simple unknowns, such as how compliant the “Log In with Facebook” function on websites is. Despite the massive overhead and risk posed by the GDPR, awareness is lagging in the U.S. as is preparedness – the latter driven by compliance uncertainty as well as the complexity of the implementation. 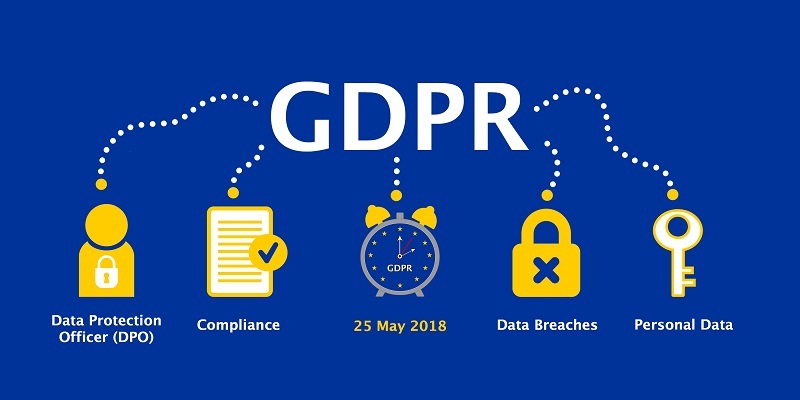 In preparation for the GDPR enforcement deadline, a 2018 GDPR Readiness Survey from CompliancePoint found that of those U.S. companies polled, 26 percent of respondents noted that they are unaware of the GDPR, while 44 percent said they were somewhat aware and only about a third (29 percent) were fully aware. CompliancePoint also asked respondents which issues were preventing their organization from becoming GDPR compliant. The majority of businesses said they were waiting to see what enforcement comes from the regulation (45.6 percent).